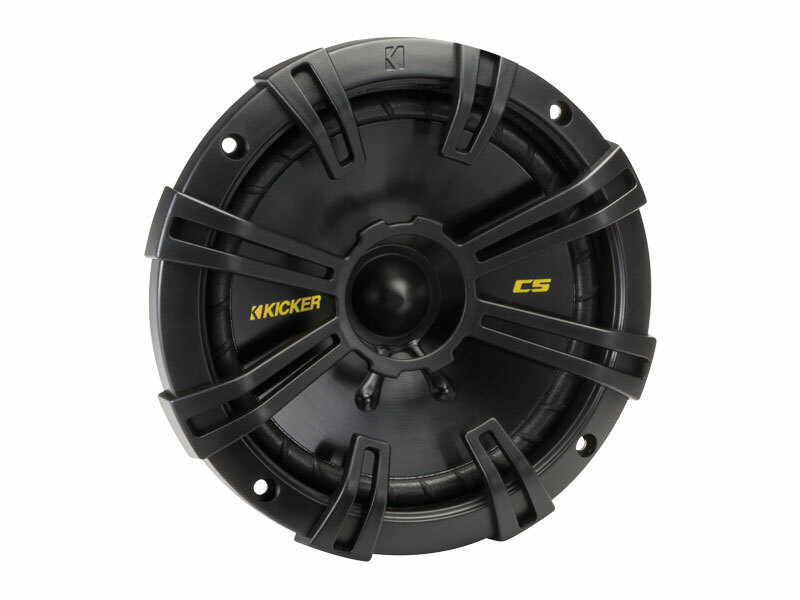 CS Component Systems are crafted to fit in more vehicles than any previous KICKER components. 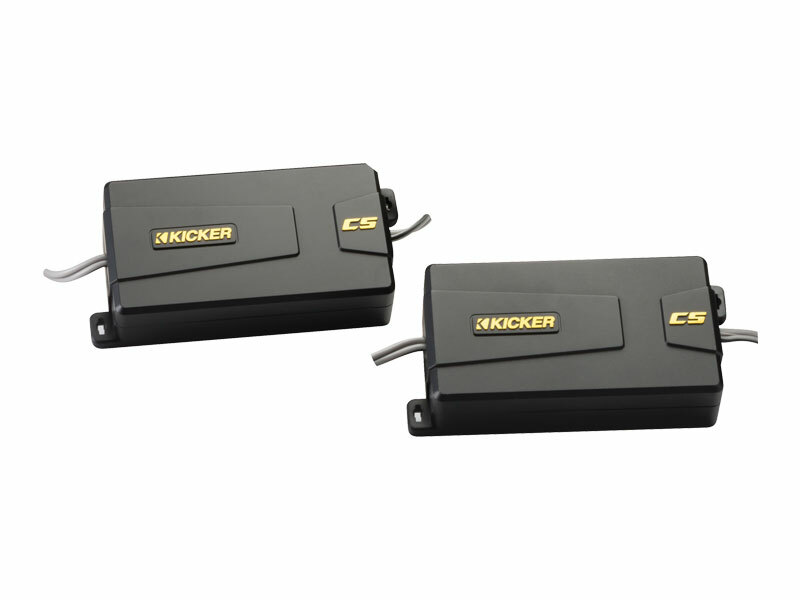 Our CS-Series Component Speaker Systems are designed with the installer in mind more than ever before, delivering easy-fitting, more manageable components while delivering acclaimed KICKER performance and durability. The smooth midranges and impactful highs composed by these KICKER-infused, four-speaker systems complete an outstanding musical experience in any ride. Superb woofers guarantee a significant upgrade in sound over a stock system. Phase plugs eliminate any distortion for utmost clarity and accuracy. Reliable, heavy-duty motor structures deliver remarkable bass response and the smoothest midrange frequencies using EVC™ (Extended Voice Coil) technology, sturdy polypropylene cones and ribbed, UV-treated surrounds. The result is precise linear excursion, music realism and the finest sound. UPGRADE YOUR AUDIO - EASY! 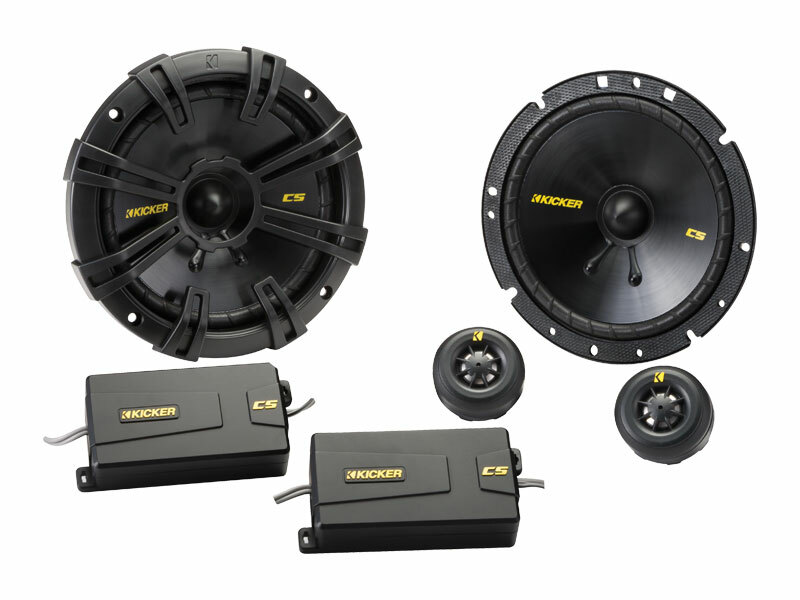 Providing a superior-sounding, affordable complement to a KICKER Yellow audio system, CS Component Systems are crafted to fit in more vehicles than any previous KICKER components. Installers will find the CS-Series easily workable, with reduced mounting depths on woofer baskets that simply drop into any size of cutout. 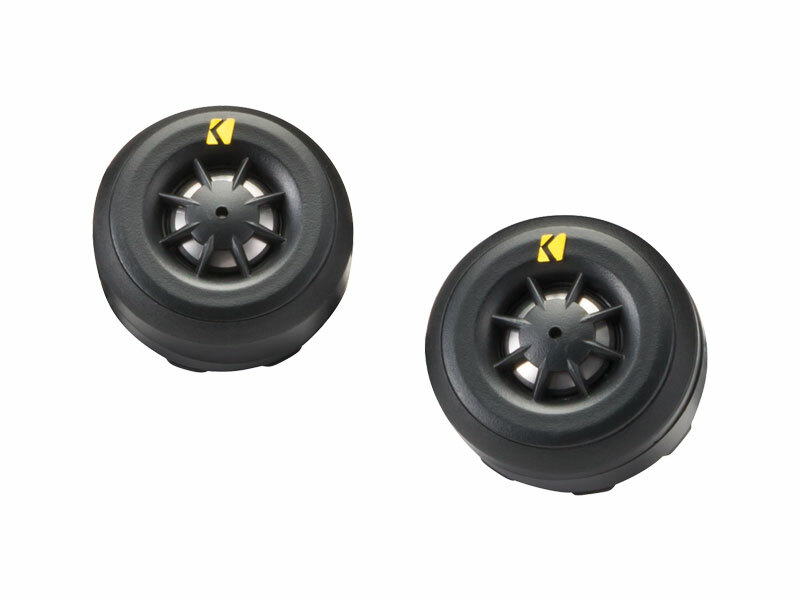 Physical footprints of the external, two-way crossovers have been reduced for more mounting options, and they still feature the adjustable, three-position tweeter attenuation for dialing in high frequencies. And for the first time from KICKER, a 6x9-inch woofer set is being offered as a fourth component model in the series. The 20mm titanium-dome tweeters deliver outstanding definition and are optimized to fit any vehicle in a flush, surface or angled mount. They deliver outstanding definition, designed with zero diffraction and less reflection compared to any previous system.